welcome spring with open arms. I'm especially looking forward to Easter this year because my parents, grandmother and sister are spending the weekend with me in NYC! Our weekend plans include exploring the city and brunching, which of course, I'm all about. 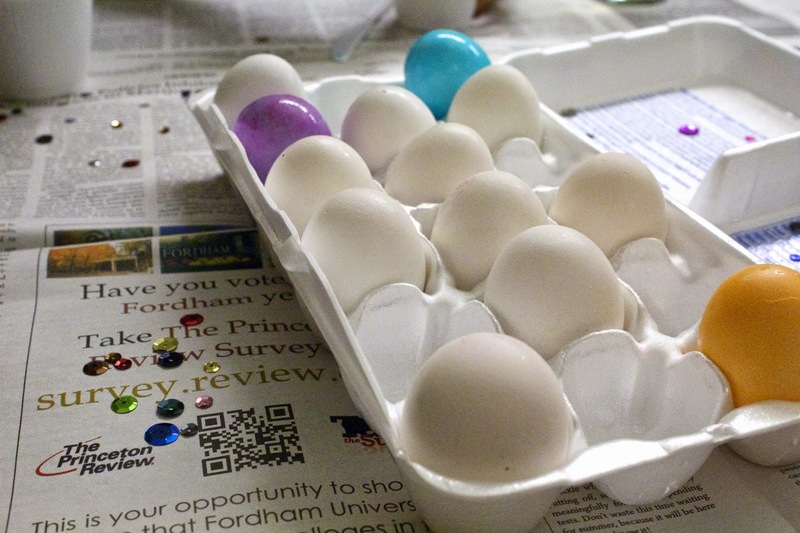 On Tuesday, in an attempt to get a little festive and celebrate the start of Easter break, my roommates and I decided to plan a fun egg dying night! 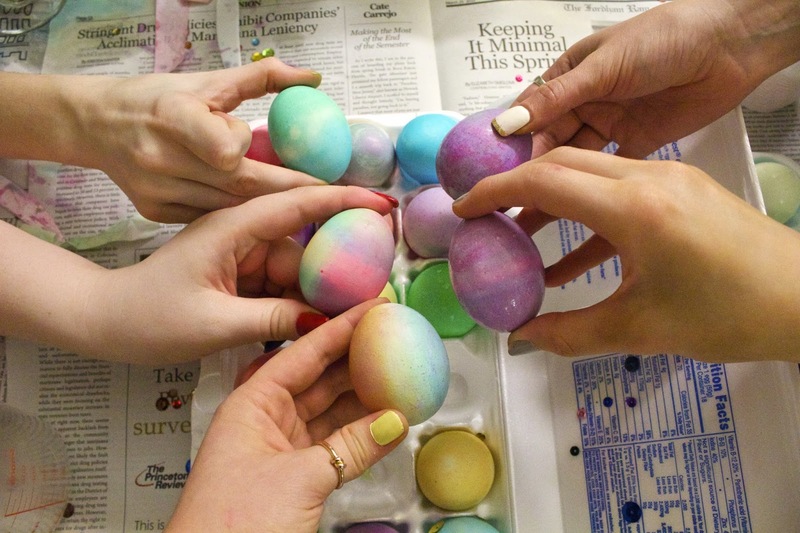 The evening consisted of 6 different dyes, 24 hard boiled eggs, sequins and lots of wine. 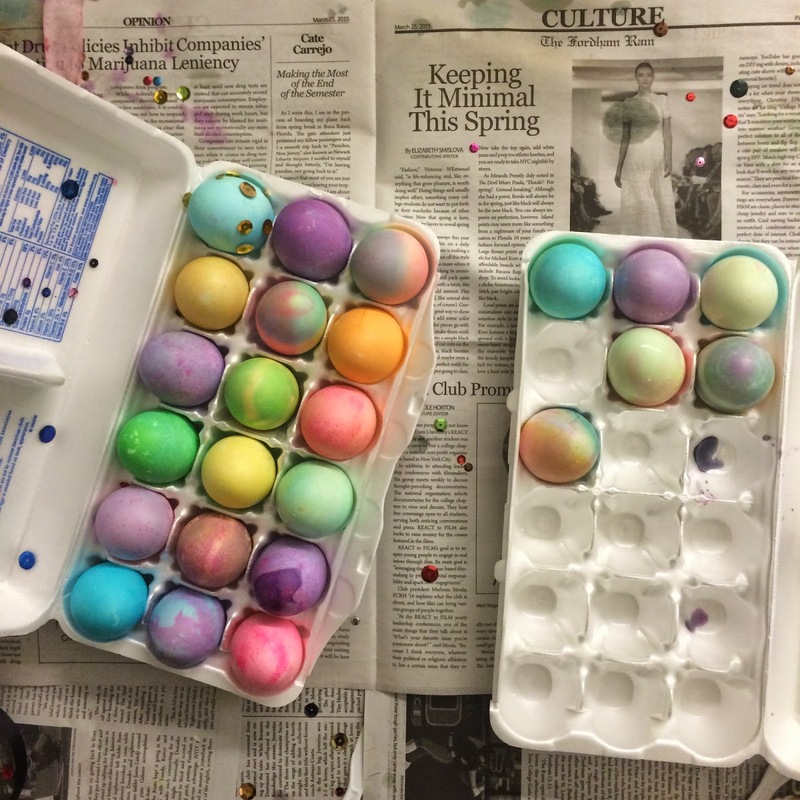 We couldn't find any of those cute egg dying children's kits in the Bronx, so we basically went "little house on the prairie" with this one, and made the dyes ourselves. Side Note: Did they even have food coloring on the prairie? Questionable. I'll look it up and get back to you. Anyway, these instructions were super helpful. 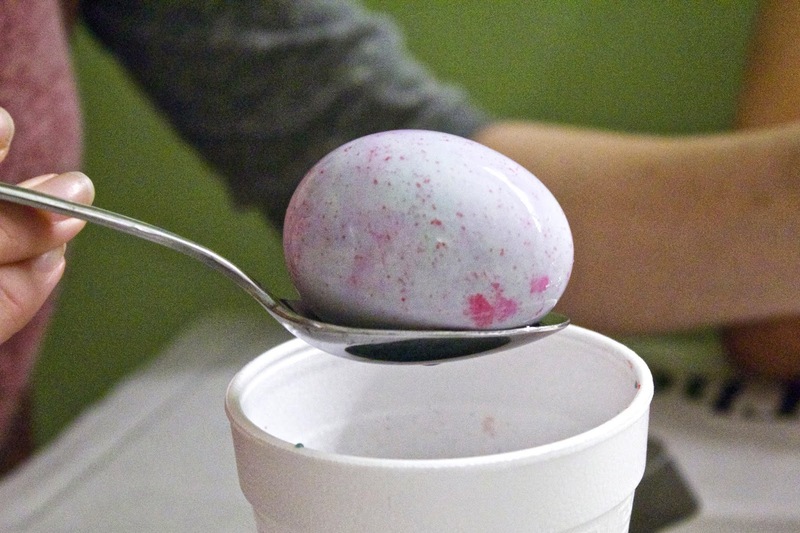 I used gel food coloring with water and vinegar for each color. 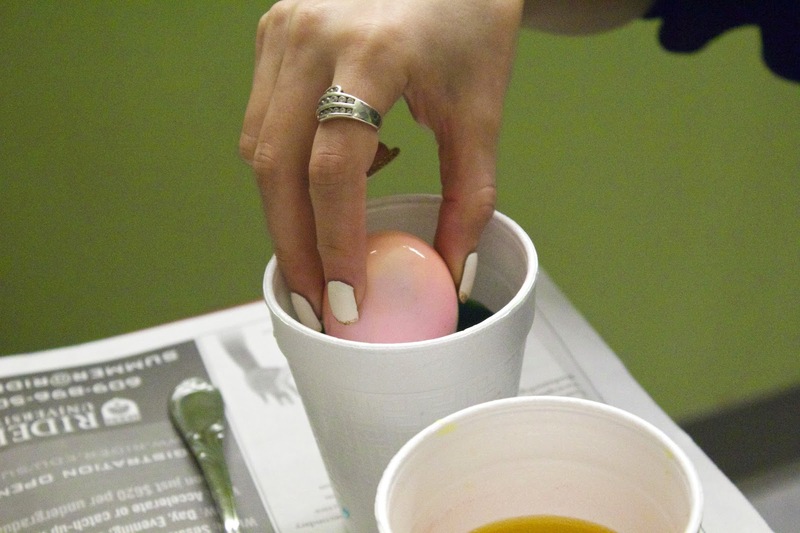 Mixing blue and red food coloring together created a purple dye that resulted in a really beautiful but unintentional speckle effect on the eggs. In hindsight, I wish we had mixed more colors like this because I love the look so much! 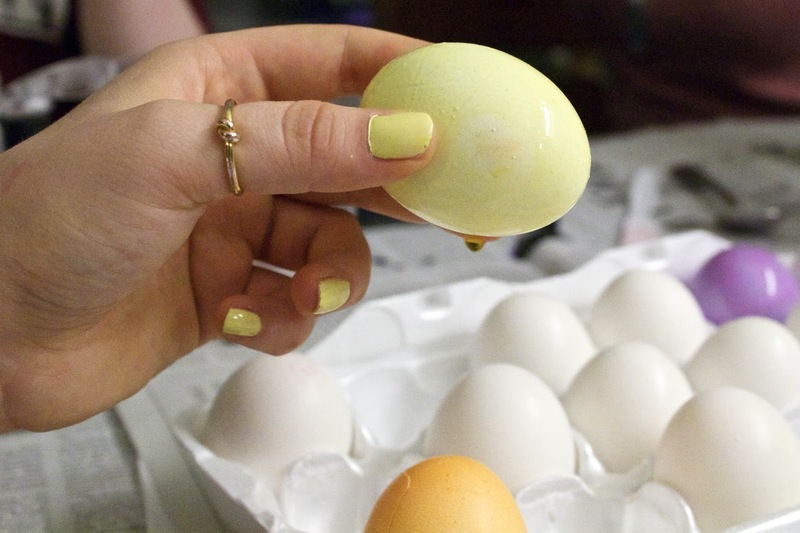 I'm currently obsessed with light yellow nails for spring! I suggest trying this shade from butter London. 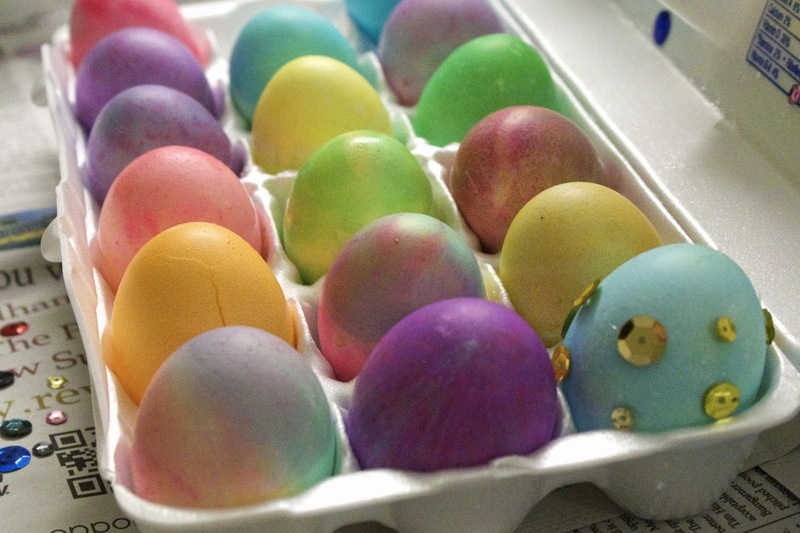 I attempted to add sequins to an egg with a hot glue gun and while it worked, I don't know that it's worth the hassle. I personally concluded that I like the simplicity of only dye. Each of our personal favorites! Side Note: I did not strategically place this newspaper, but I can not tell you how ecstatic I am that the cultural section was displayed with "Keeping it Minimal this Spring" as the prominent headline. It just looks perfect. However, I can't say the same about the "Marijuana Leniency" headline in the top left, but I'm over it #CantWinEmAll. 1. 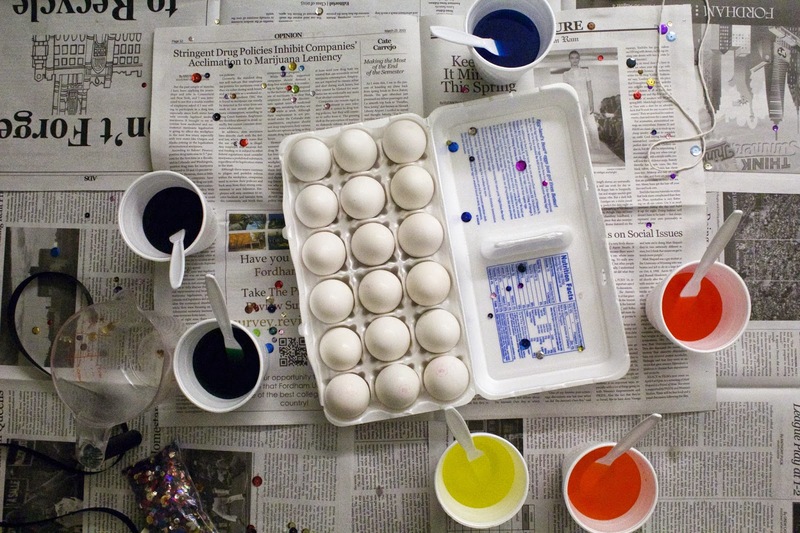 You're never too old to dye Easter eggs. 2. It's actually a lot more fun with wine. 3. 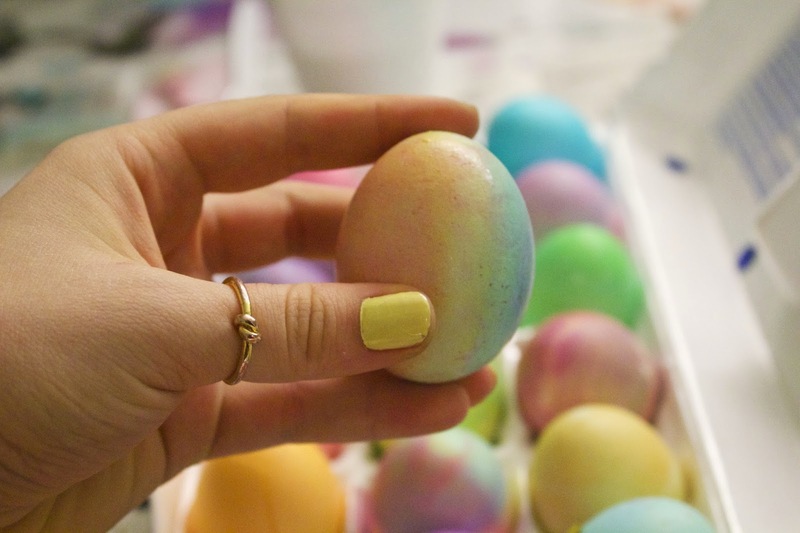 A day that starts with eating rainbow hardboiled eggs cannot be bad. Those wine hangovers though, right?